Time for all Halo fans out there to bring out their party hats and a big smile, because 7/7 is also known as something called Bungie Day. This phenomenon has its origin in the fact that the number seven plays a big role in many Bungie games. The Halo games are packed with seven references, and the easiest one to remember is that there are seven Halo rings. Simple, right? If you want the otaku list, check this out. So, what’s to expect on Monday? 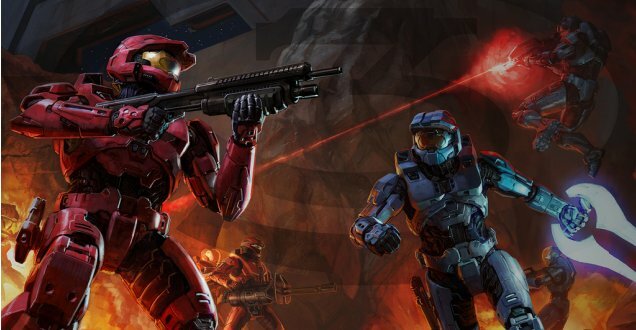 This year Bungie releases a new multiplayer map known as Cold Storage, (a remake of the map Chill Out from Halo: Combat Evolved) as well as new gamer pictures and a Bungie Day Xbox 360 dashboard theme, all for free on Xbox LIVE. The Halo Legendary Map Pack (featuring the maps Avalanche, Black Out and Ghost Townwill) will also be available for 600 points instead of 800 points. This seems to be the best Bungie Day up to now. It’s the first year a new multiplayer map will be available for free, and make sure you download all the gamerpics etc because you only got 24 hours to do so. That literally means that if you’ve got an invitation to your step parents, it has to be canceled. Another special surprise also seems to be in the making according to Bungie. “We have a few other goodies planned but you’ll have to wait until next week to hear more about that.” Keep your eyes open at E3, perhaps this is a sign that Bungie is going to reveal something big?